I am new to this forum, so far I really like this forum. 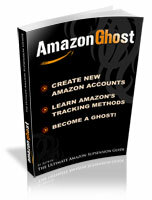 Its very active and very knowledgeable from what I am reading. New to the forum. Need help with Amazon account. I can provide contact info if necessary. I have a budget. Last edited by JimAdler2019; 02-14-2019 at 09:34 PM. But its okay I am happy I found it now. You guys are awesome and I hope to contribute for many years to come with you all!